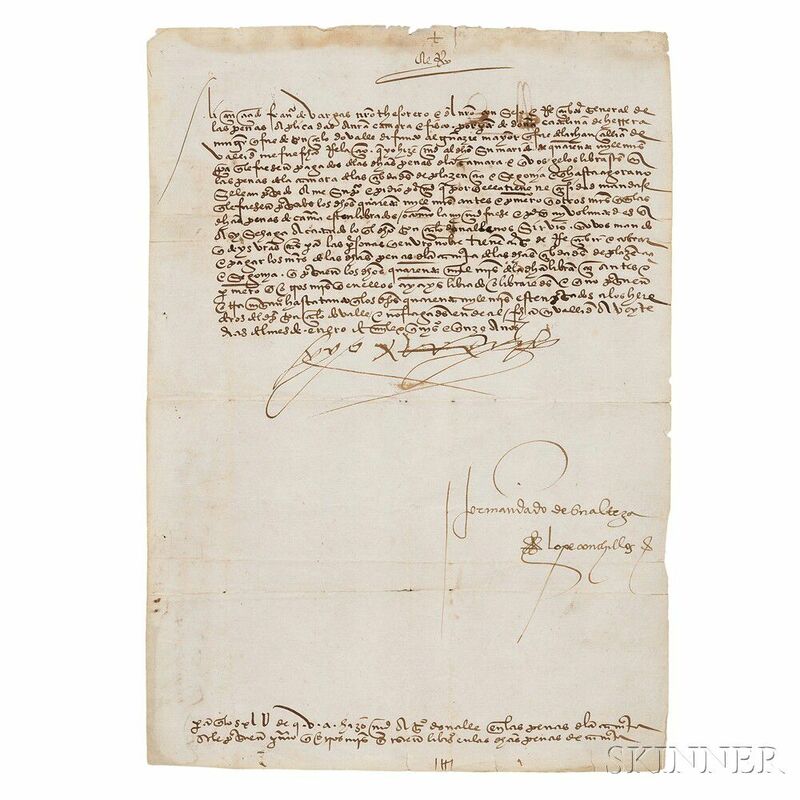 Ferdinand V, King of Spain (1452-1516) Document Signed, January 1515. 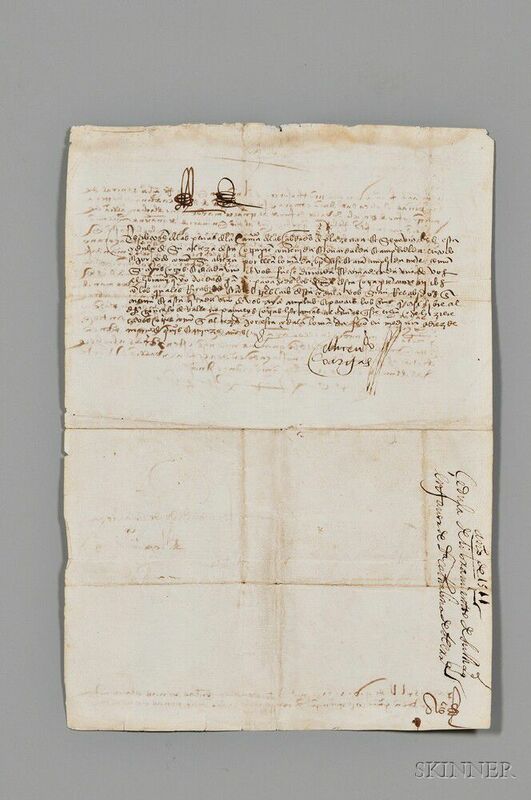 Ferdinand V, King of Spain (1452-1516) Document Signed, January 1515. 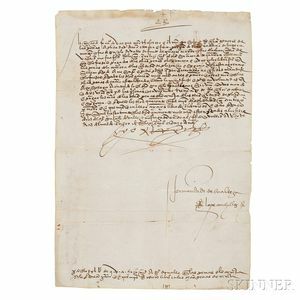 Ferdinand V, King of Spain (1452-1516) Document Signed, January 1515. 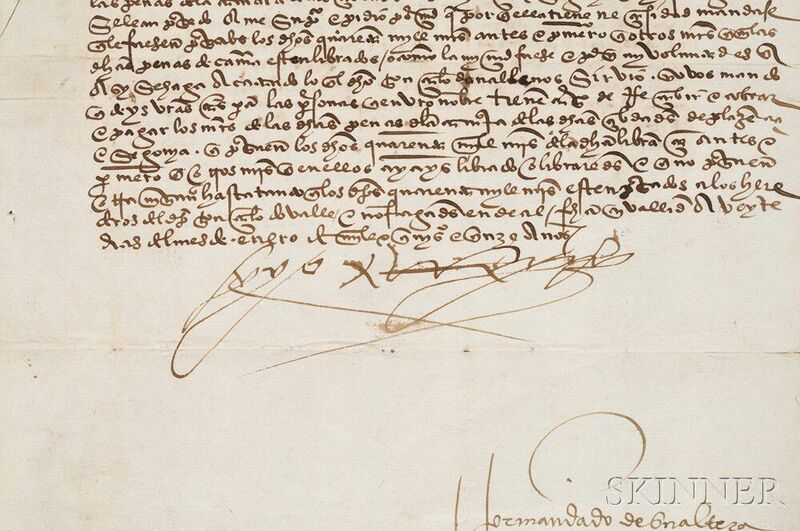 Ferdinand V, King of Spain (1452-1516) Document Signed, January 1515. Three separate laid paper leaves; one inscribed on one page; one inscribed on both sides; the third a later docket, inscribed on one side. 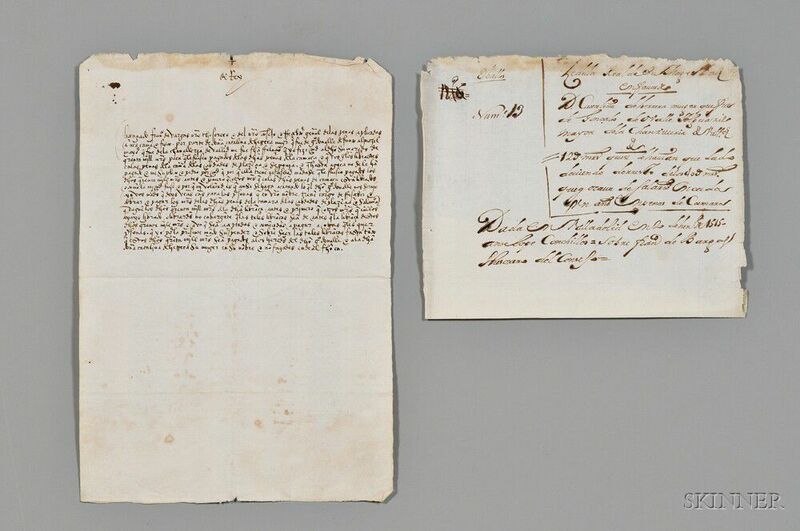 Signed "Yo el Rey," with old folds, some spotting, two leaves 8 1/4 x 12 in., the docket irregularly torn, approximately 7 1/2 x 8 in.